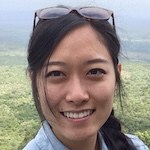 Jenny Lee is working in Nairobi as a summer consultant with Echo Mobile and is pursing a master’s degree in public administration at Columbia University. She previously worked as a policy adviser to the Australian Federal Department of Infrastructure and Regional Development, working in policies and programs on city-wide passenger movements, the freight industry and heavy vehicles. She is passionate about assisting developing countries with innovative and sustainable transportation policies. Kenya's roads are deadly due in no small part to accidents involving "matatus," the ubiquitous minibuses. A key problem: The more passengers they pick up, the more matatu drivers get paid. So Echo Mobile and a team from the University of California at Berkeley recently launched the SmartMatatu project to study driver behavior and how they might be incentivized differently.